Mistake is more than okay; learning from mistakes is just awesome. Quang Nguyen has more than 10 years experience in the Software Development industry. He has worked in eXtreme Programming, Scrum and Kanban environments with multiple Agile roles, from developer, scrum master, product owner to scaled agile manager. He currently work as an Agile Coach based in Singapore. His job is about building up an Agile Culture and a Happy Organization. He focuses on 3 agile levels in the company: Agile at the organization level, team level and at the individual level. 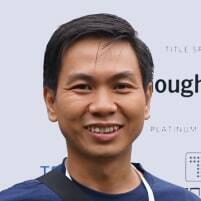 He is a board member of Agile Vietnam Community, chief organizer of XP Day Vietnam, and has attended as a speaker in International Agile conferences in Japan, Hong Kong, Singapore, Cambodia, Vietnam, Indonesia. What Happens when Everybody is a Leader? Problem 1: Leadership is crucial for team development => how to become a leader when you don't have a leader position? Problem 2: Having more leader is good, but What happens when Everybody is a Leader? つチームは1つ橋を作るのため、どのくらいがかかりますか | How Long does it Take for a Team to Build Bridge? Teamwork is extremely powerful, especially when the team has good tools to play with. They can do a lot of amazing things. This workshop will bring participants through design sprint and design thinking technique which are very good tools for the team to quickly build up their MVP (minimal viable product). And of course, it will helps the team to archive the goal they may never did it before, building a BRIDGE. あなたはｼﾞｪﾝｷﾝｽﾞ様と彼の友達を殺していますか | Are You Killing Mr. Jenkins and his Friends?